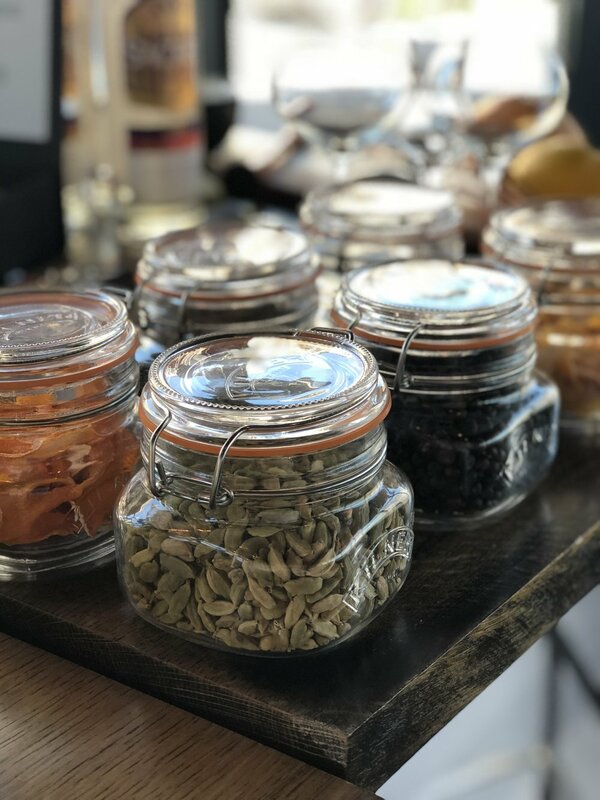 Opened in Nov 2017 and located on the banks of the River Usk, The Pod is a unique watering hole designed to offer tasty street-food style sharing boards and delicious cocktails and gin serves. With it's gritty, New York inspired interior style, created by So Exclusive Interiors, The Pod offers a casual, relaxed dining experience aimed at making guests feel like they could be in any city in the world! Our dinner menu is perfect for enjoying a variety of dishes or sharing finger licking food amongst friends. Our lunch menu offers lighter, healthier dishes for those trying to be good and for those who don’t care - check out our NEW Burger Wednesdays! Don't forget to sample the huge range of gin available (at the last count - there were over 80!). Alternatively, ask one of the very talented bar team to suggest and create a pairing to compliment your food choice…they love a challenge! With a cocktail list that changes weekly (including mocktails), a great selection of whisk(e)ys, vodka, beers and wines...there's certainly something to wet all whistles. No reservation is needed for parties of less than 8 - just turn up! To book for 8 or more, please click here. thinly sliced pieces of steak, seasoned with our own house rub, green peppers and onions. Please inform us of any dietary requirements or allergies you may have. Our chefs will be more than happy to modify dishes. PLatters to share…if yoU daRE! Please note, PLATTERS CAN change on a weekly basis due to availability of local produce. THIS IS A SAMPLE MENU. T&Cs apply. Please note, some dishes may change on a weekly basis due to availability of local produce. T&Cs apply. Please note - meat choices can change due to availability of local produce. If you would like confirmation of which meats are being served on the Sunday of your booking, please call 01633 535440. Please note - veggie option alternates between nut roast and the halloumi special and is due to availability of local produce. If you would like confirmation of which option is being served on the Sunday of your booking, please call 01633 535440. As per adult Sunday lunch platter, just a smaller serving. BURGER WEDNESDAYS…AVAILABLE EVERY WEDNESDAY 5.30pm-9pm. T&Cs apply. Join us every Wednesday for our NEW burger menu below…. Our chefs will be more than happy to modify dishes. Whether you're looking to extend your knowledge or start from scratch, we have a cocktail or gin masterclass to suit everyone's ability. Hands-on cocktail making of one prosecco and one champagne cocktail. For 8 or more, book your food reservation online at ResDiary, alternatively please contact us. If you require drinks only, no reservation is required and tables are available on a first come, first served basis. Have a question? Need an answer? Pop your details in here and we'll be in touch as soon as possible.